It'll be interesting to see what happens! I hope at the bare minimum, the controls of the games are improved and hopefully an optional first-person view mode can be added. It would make replaying the games even more fun! Great ! I hope it's a rerelease on PC. 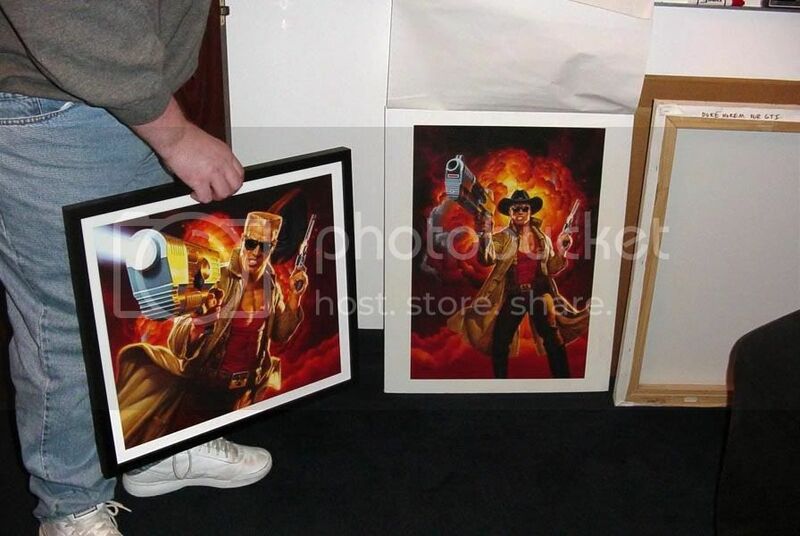 In the picture I've posted of the 3D Realms Anthology, it look like Duke is standing on one of the aliens from TTK, maybe those games will be included in it. Zero Hour is the only one I'd be interested in. It is beyond awesome in every way. Time to Kill is... okay, but Land of the Babes was just... terrible. PC release of all of them would be sweet. For me, a Zero Hour release would hold more weight because I don't own a Nintendo 64 anymore, but to see all Duke games released under the 3D Realms and Apogee banner finally get a PC release... man, go ahead, make my day. I still have my N64 and PS2 hooked up. So I have the means to replay all of them whenever. But, a PC release would be great. As it would be the way I would prefer to play them. I never cared for any of them, tbh. I mean it was cool to expand the franchise onto other platforms, but I wish the games were better. 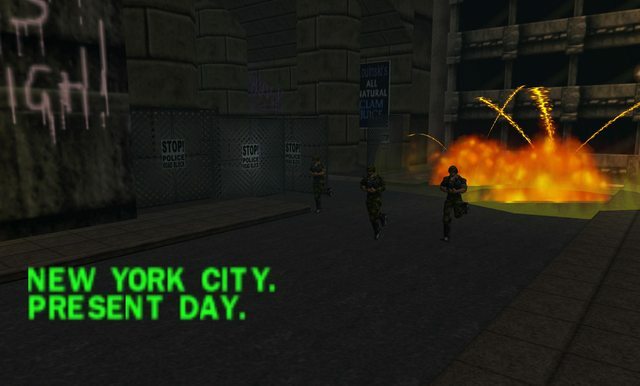 Manhattan Project and Zero Hour were my favorite third party titles. I really love them. Would hope for a HD remaster or something if they're allowed, mod tools and level creator would be slick if possible. Also if a modder can, please change my username to xMobilemux, haven't used this account in ages. I would definitely love to play through updated versions of these. Especially considering the console controls weren't the hottest. Last edited by The Duke Returns; 10-15-2014 at 10:16 AM. 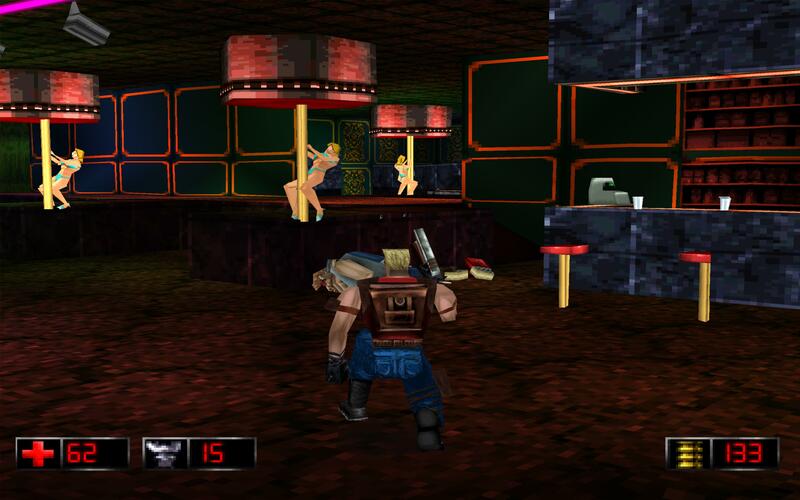 This would be absolutely rockin', would be amazing to see the console Duke Nukem titles come to PC with some updated options for anti-aliasing and other graphical enhancements to make the most of the games. This is one of those "I wouldn't hold your breath" scenarios I think, and I mean no offense to Fred or any of his people on that, but it is absolutely the truth. Duke's recent history is shall we say... rocky, at best. So who knows what kind of really stupid stuff could come down the pipe to rain on our parade. I hope not, because, as JSJ himself said in a FB post not long ago, all that crap is keeping the king from taking his thrown. 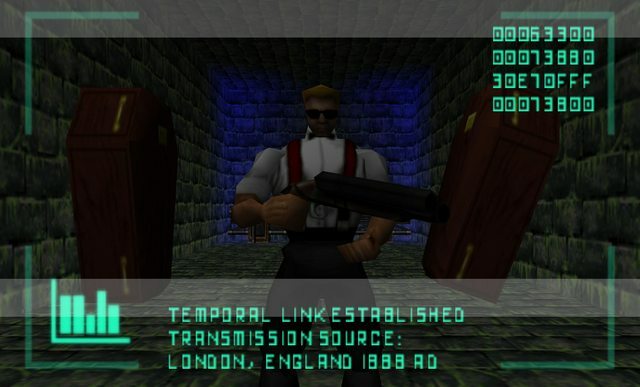 They own the rights to everything before Duke Nukem Forever, have shown that they have the source code for the titles on Duke4.net and have said that they have plans to do stuff with the games so you can't say it'll never happen. Last edited by DirtyFexen; 10-23-2014 at 11:37 AM. Yes, I absolutely can, based on the experiences of a decade of history here. I've seen all kinds of things come up and then go back down again. I'm being a realist here. Plans could very easily change. We just don't know what the future will hold. Just because they claim something, and even likely are entirely honest in those claims, it doesn't mean, say, Gearbox or Take 2, or someone else, won't turn around and claim something opposite. Legal battles are confusing and uncertain animals i've come to find. Which is why I say don't get your hopes up until we actually see some very firm evidence that it's actually going to happen. Commando had a very wordy version of "When it's Done" there. I do only care when it actually happens. It could happen given they've got everything they need just sitting there on a hard drive, the only thing that could be a potential roadblock is the on-going lawsuit with Gearbox Software which hopefully gets resolved soon. That's not exactly an "oh by the way" kind of thing. That's actually a rather big thing. Just look at the situation with Bombshell. Even after speaking with Fred about it, I still don't fully understand what went on with that, and I wager I probably never will. See the only thing that concerns me is that i've heard somewhere that the rights to do any kind of remakes or HD enhancements to these games is a no-no. Well, see, that's a potentially kind of a vague thing to have floating around there if it's true. It could very easily stop them from doing ports to the PC. It depends on what the actual agreed upon language is. 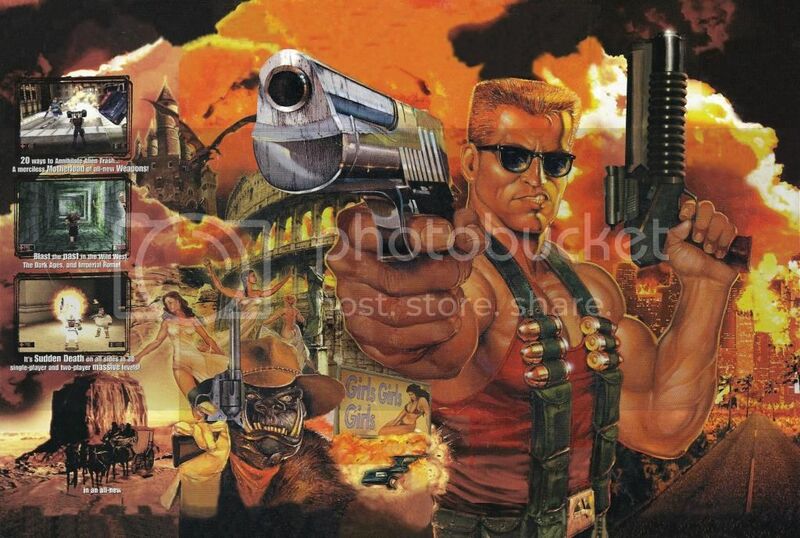 We can't know, we won't know, and I suggest to any new comers, even though this is a new and improved 3D Realms, just trust some of us old dogs, it's best you not go off on a sugar rush of excited glee at "new" or "revisited" Duke Nukem content until a press release makes it to the front page and remains unmolested by the army of game company lawyers. 3DR aren't allowed to make and sell new content for any of their old games. The grey area is when they do a port of a game, and maybe tweak a few things here and there, and sell it as self-contained game on a new platform. How much tweaking can you do before "new content" has been made? And when the game is released on a new platform for the first time with a few extras, are you paying for the game itself and the extras are free, or are you paying for everything? I enjoyed both Time to Kill and most of what I played of Land of the Babes... sadly never got around to Zero Hour. I'd be very into the idea or a re-release of some kind. I can't say enough how awesome Zero Hour is. If there was ever a chance it could be brought to PC I would not only be ungodly happy, I'd buy it instantly. They've shown that they have the Time To Kill source code, with any luck hopefully they've got the source code for Zero Hour too. I'd buy it as soon as it was released. Even if they don't have the source code they can bring Zero Hour to the Nintendo Wii and Wii-U virtual console as it uses emulation to run the games. The same goes for Time To Kill and Land of the Babes as PSOne Classics on the PlayStation Vita and PlayStation 3 also uses emulation. I would love to be able to buy rereleases of forgotten Duke Nukem console games that were originally released on Nintendo hardware. Duke Nukem 64 and Duke Nukem: Zero Hour could be rereleased in the Nintendo eShop for Wii U at some point in the future (N64 games haven't launched yet though, but it's only a matter of time). 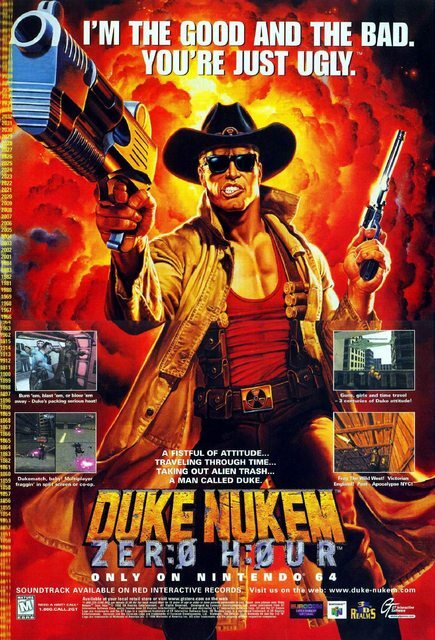 I would also like to see a rerelease of the Duke Nukem games for the Gameboy Color and Gameboy Advance. I managed to find the GBA game on eBay a couple of years ago and I thought it was terrific. 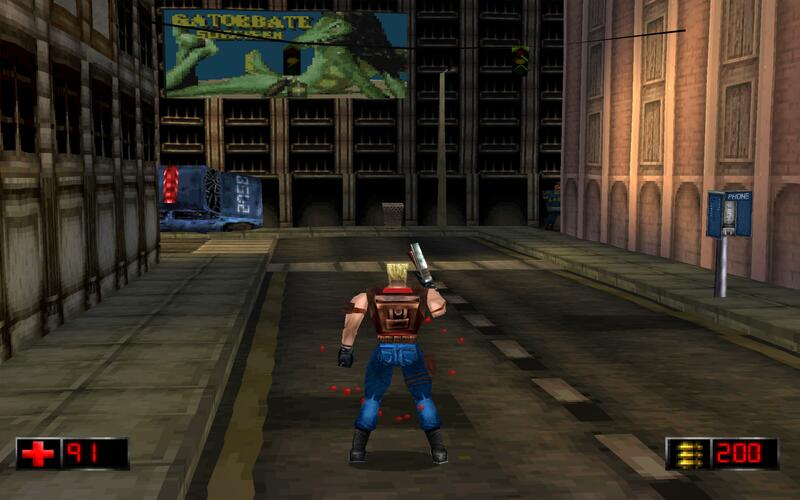 Duke Nukem Advance would be great to bring over to the Wii-U and 3DS virtual console. I remember it being pretty fun on GBA. Arguably one of the best action games on the GBA console. Duke Advanced is a very impressive little game. Made those long road trips to the grandparents a lot more interesting. Anyway, I would love those 3 games on Steam or so. 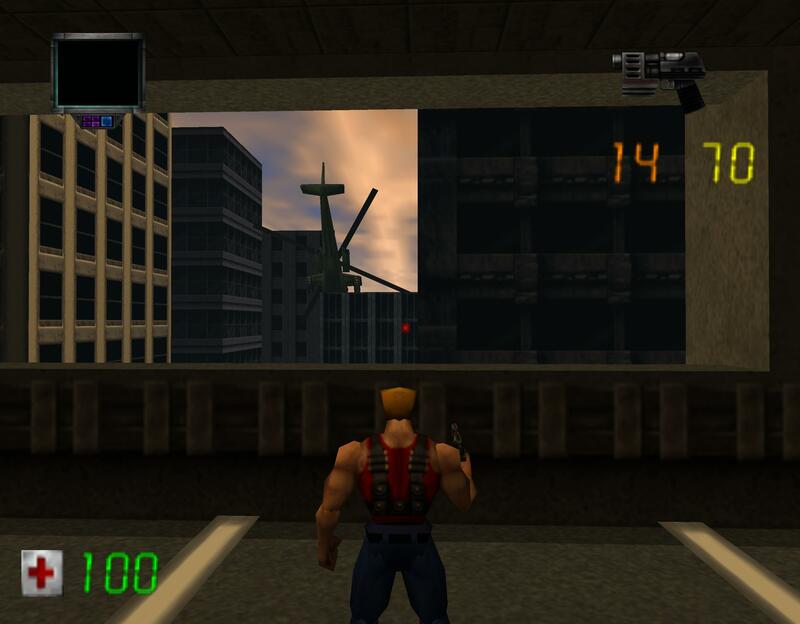 Loved both PS1 titles but never had the chance to play Zero Hour. 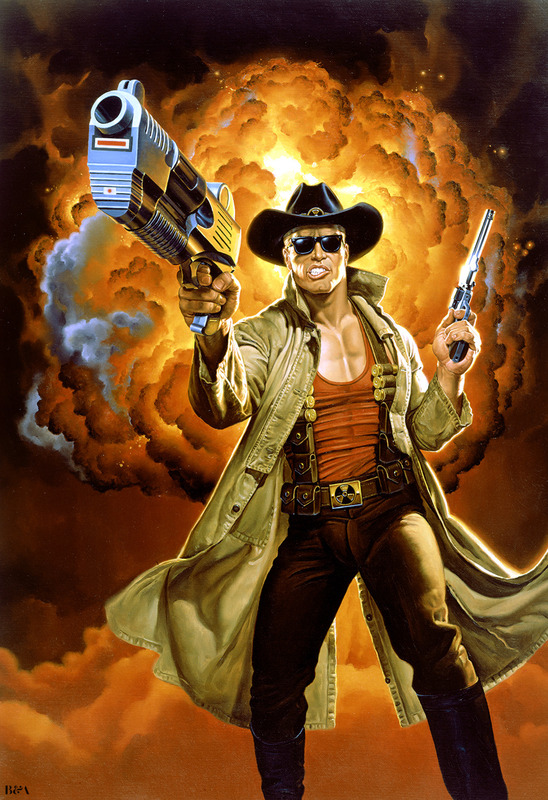 Does 3D Realms have a raw version of this artwork? Yeah. This one and the full TTK poster would be AWESOME downloadable pieces. I'd love to see the full unmolested TTK one without any of the words/pictures covering up all the time lines. There's so much detail packed in there... oi. This is quite strange, can 3D Realms release these old Duke games, What happened to N-Space developer. Don't know if all the law and old companies are letting the old come back. It is very complicated that they can do anything with this. 3D Realms retains the rights to everything prior to Duke Nukem Forever so they should be free to do as they please with the console titles. I'm baffled that they haven't done it yet. Easy revenue. It's not something they can just do with a snap of the fingers. We're talking about properly repackaging games for release on newer consoles/PC. That requires a little more deftness than "eh, here ya go!" 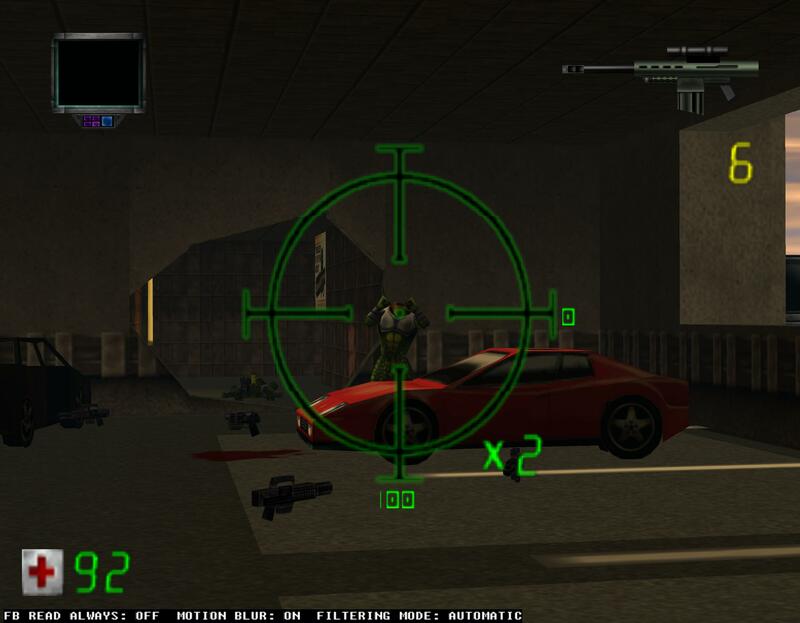 Zero Hour looks very good when rendered in high-resolutions. I wonder what a PC version would look like..
Last edited by DirtyFexen; 11-08-2014 at 09:05 AM. Interesting stuff. I have never completed Land of the Babes or Time to Kill. Would be nice to try them out on a PC though. After seeing how Zero Hour, Time To Kill and Land of the Babes look on an emulator in high-resolutions I would want Zero Hour to be re-released the most as it is the least dated graphically and gameplay wise. Time To Kill and Land of the Babes are still fun to an extent but they are less focused on action, have many platforming sections and look terrible compared to Zero Hour. I thought the exact opposite, but I never played Zero hour.